The smallest in the Millpond Doodle litters, our petite goldendoodles are bred from crossing golden retreivers with mini, or toy poodles. 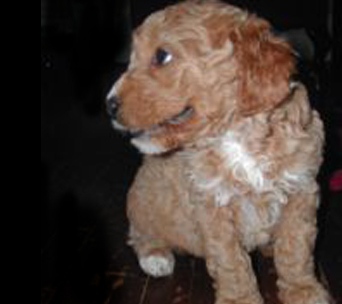 Petite goldendoodles range in size from 10lbs to 18lbs fully grown. Though they might be small - they have big personalities, and make great family pets or companions for individuals and professionals. 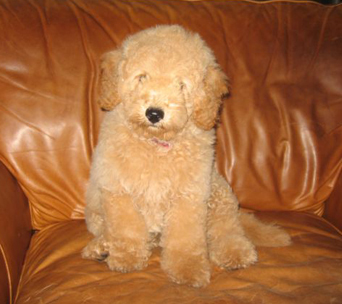 Our petite goldendoodles share the non-shedding and hypoallergenic qualities of poodles - making them great pets to bring into any home. Will they Adapt in a Condo or Apartment? Our pups will be happy to make your apartment or condo their new homes. Petite goldendoodles adapt very well to confined spaces and require significantly less living room than most dog breeds. 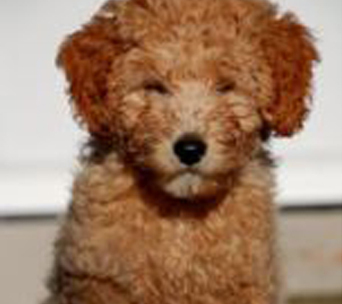 To learn more about petite goldendoodles and the breed in general - visit our goldendoodle breed description page. Below are a few of our past petite goldendoodles - ones that have already been taken home by a loving family. Though we will miss each one of them, we hope the petite doodles bring just as much joy to their new homes and families. If you're interested in taking home a petite goldendoodle of your own, visit the upcoming litters page and view our adoption precedure.